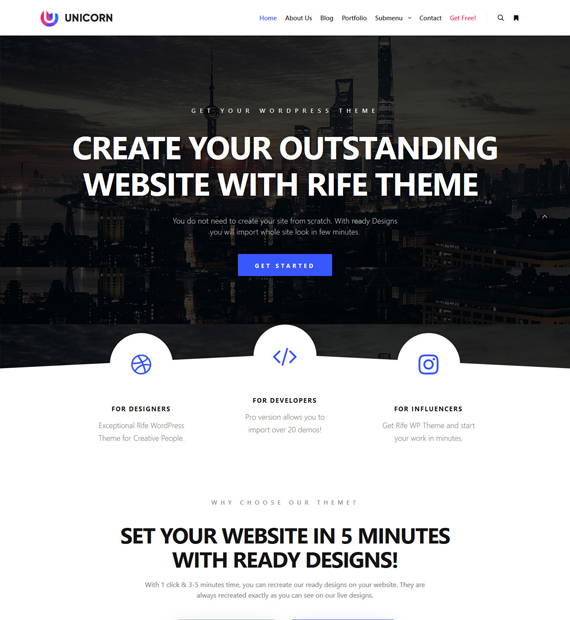 Rife Free is a fantastic theme that is perfect for those looking for a way to show off their work in an attractive manner. With 5 demo layouts that can be imported with a just a click, you can have a stunning website in no time at all. Rife Free is especially great for photography sites and portfolios with a ton of features designed around presenting your photos in the best way possible. With many other features including WooCommerce compatibility, it is also suitable for business sites, blogs, and even online shops.